Paco Díaz (Palma de Mallorca, Spain) on 24 July 2009 in Landscape & Rural. Almería. 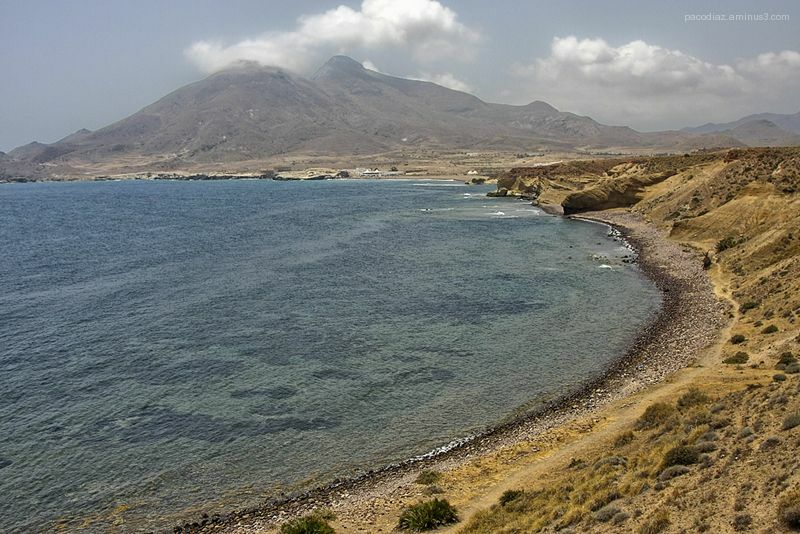 Una playa del Cabo de Gata, desierto al fondo. Interesting muted tones; a handsome telephoto. This is a landscape unusual to me, different king of topography. I enjoy seeing it. Thanks. Another lovely landscape with the curve of the bay leading the eye in to the frame. Beautiful perspective in this shot . Great post processing and lovely tones ! Spectacular shot! I like the tonalities and the effect on the water...as if it was shivering! The water looks strange but beautiful, nice view! I like the sweep of the coast and the lovely water. Nice one. Beautiful colors! I adore it. Love the curve of the land and water as it sweeps across the frame. So very pretty and wonderfully framed. This has some incredible water and then the shoreline leads my eye all the way to the distant mountains! Great work Paco!